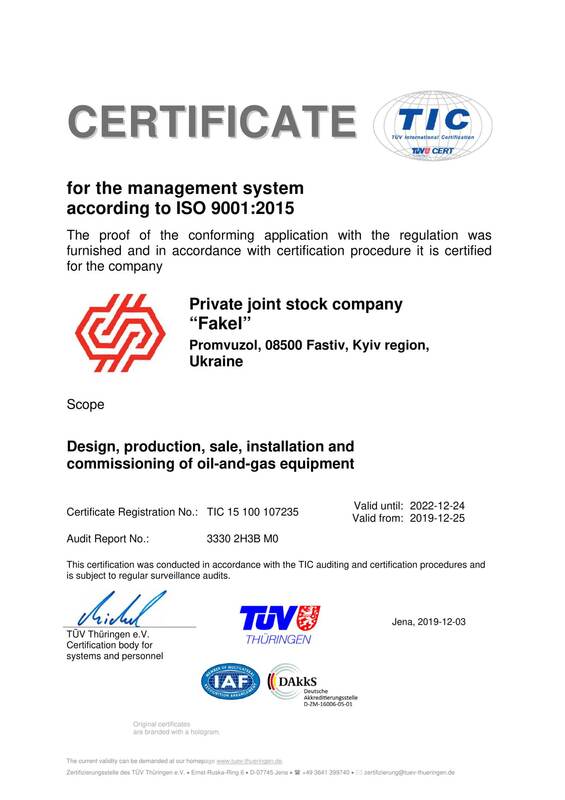 All products manufactured by "Fakel" JSC certified by bodies of standardization and certification of Ukraine, the CIS countries and is the manufacturer's warranty. 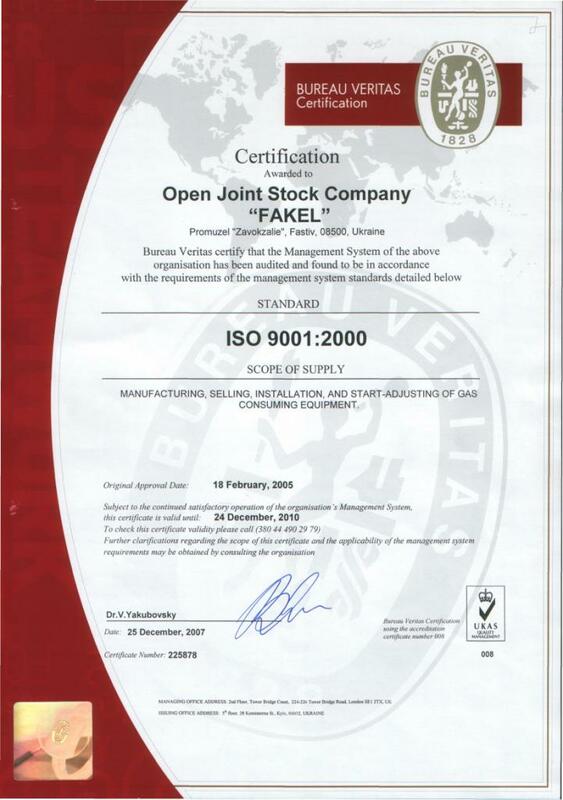 Since 2004, the company implemented a quality management system, which guarantees the products conform to international standard ISO 9001:2008. 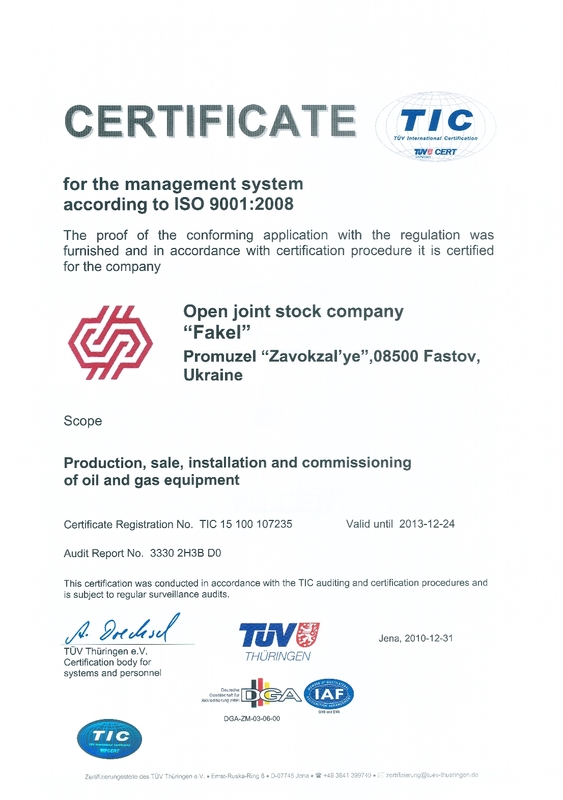 The key components of the system are gradual process control, product quality control, as well as a set of measures to improve the quality of analysis and evaluation of products and activities of the customer.